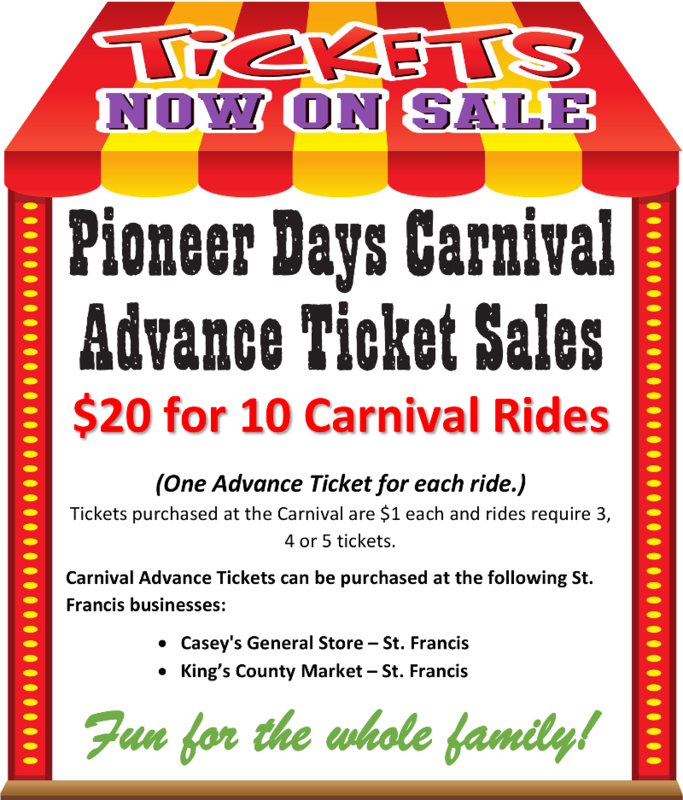 Pioneer Days 2018 Carnival Ride Tickets are now on sale at King’s County Market and Casey’s General Store in St. Francis. 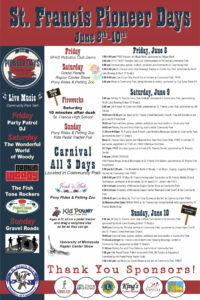 Quantities are limited . . .